As you can see the text boxes are not aligned well with text and actually not even placed as intended. Some text is hidden by the check-boxes, so how to get such forms right in this case? Your help would be much appreciated. First you need a recent version of bidi package which adapt a lot of packages for right to left writing, package polyglossia uses implicitly bidi for languages with right to left script. Not the answer you're looking for? 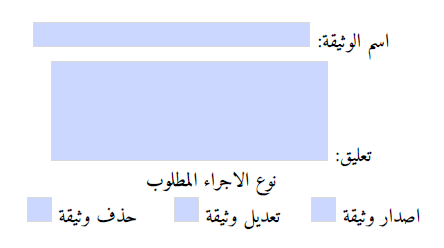 Browse other questions tagged hyperref arabic right-to-left forms bidi or ask your own question. 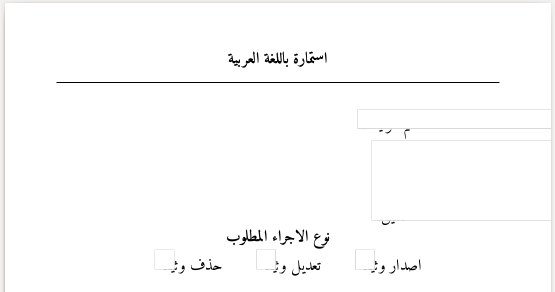 TeX Editor for Arabic language?